2017 was a record year for data breaches, but small businesses may feel they are too small to be threatened by cyber risks and often don't take the steps needed to try and protect themselves. But even if they aren't the primary target, hackers could use them to get to larger businesses, such as the 2013 Target hack, which happened after hackers breached its HVAC vendor. Merchants of all kinds should carry cyber coverage. Lawyers, CPAs, podiatrists, consultants, counselors, taxi operators, restaurants and bars…you name it. Big "I" Markets has a Cyber Liability-Small Business Solution you can offer to your clients at $200 for most small businesses with under 50 employees. You'll find our ineligible list is tiny: banks, credit unions, payment processors, gambling organizations, adult industry, social media/networking firms, cloud providers and security broker dealers. Go to www.bigimarkets.com, choose Cyber Liability-Small Business Solution and provide a customer email in the quote request function. BIM takes care of the rest. We collect the application and $200 via credit card directly from the customer and pay you. The policy and certificate are available in 24-48 hours after payment has been processed. We post a signed application on BIM, and a dedicated web page is available for self-print of the certificate and policy. "We want every policyholder in the Big 'I' Professional Liability program (and indeed, every Big 'I' member) to offer cyber liability coverage to all their small business clients. Doing so will minimize the top source of E&O claims, 'failure to offer,' and provide better protection to your valued clients," says Jim Hanley, Big I Advantage® Director of Risk Management. Questions? Go to www.bigimarkets.com and select Cyber Liability-Small Business Solution from the commercial products menu, or email bigimarkets@iiaba.net. View the new application and guidelines that take effect June 1. Drivers under the age of 20 will be eligible with one (1) incident (violation OR at-fault accident) . Previously, drivers age 20-21 were eligible with one incident, while those under the age of 20 were ineligible. As a result, the yes/no question pertaining to a driver under the age of 20 with an incident has been removed. Drivers under the age of 22 will be eligible with basic underlying automobile limit B (250/500/50 OR 300/300/50 OR 300 CSL) . Previously, drivers under the age of 22 required basic underlying automobile limit of A (500/500/50 OR 500 CSL). Note that basic underlying auto limit A will continue to give a discount. Simplification of the farm/timberland question. Previously, RLI asked for how many acres of timberland and/or land that is farmed. They have removed that distinction and instead ask for how many acres of land are owned or leased. All of the changes described above necessitated a paper application refresh. While doing so, RLI also clarified the wording on several questions and definitions. A copy of the FL New Business App and All Other States New Business App are included for your review. If you would like a copy of the renewal application, please contact your ASR. Depending on the state, renewal applications for business effective June 1, 2018 will be mailed shortly. New Mexico risks will no longer have their own application; they will instead use the PUP 276 (10/17) version. However, the only policy limit available remains at one million dollars for risks with a primary address in New Mexico. It is important to note that the new business applications attached (10/17 versions) should NOT be used unless you are requesting an effective date of at least June 1, 2018. RLI cannot accept the new 10/17 version of the new business application for any business effective prior to June 1, 2018. Additional communication, including fillable pdf versions, will be sent at that time. Should you have any questions regarding these changes, please contact your state's RLI administrator at www.iiaba.net/RLI. Big "I" Flood partner Selective is always working to make sure its technology helps you to do business with them. With the most recent update to Selective's Torrent system, you are now able to collect the primary insured's signature for the cancellation form in an electronic format. This will create a more efficient process and can help save you time as well. Once you upload an electronic signature document into the Torrent system, it will automatically be sent to Selective for processing. 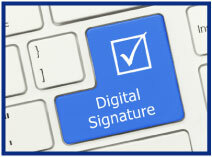 If you have any questions on e-signatures, please reach out to your Selective territory manager. Want to learn more about Big "I" Flood? Together, Big "I" Flood and Selective's relationship helps deliver members an unparalleled flood program. Together, we offer agents several layers of support to meet any and all flood insurance needs. Get to know the Big "I" and Selective staff and get your flood questions answered. With personalized support, competitive commissions, and an easy-to-use quoting platform, it is an easy decision to start writing your flood business through the Big "I" Flood-Selective partnership today. Learn more at www.iiaba.net/Flood. IA magazine article - "A Happy Distribution Force Equals Increased Carrier Profitability"
Congratulations to our agent in Louisiana on an Affluent Homeowners sale of $13,378 in premium!